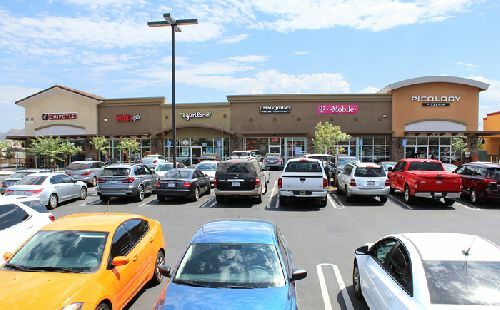 Six fully occupied retail pads at Perris Marketplace in the Inland Empire city of Perris sold in separate transactions for a combined price of $29.5 mil. The pads, totaling 39k sf of space, consisted of three multi-tenant pad buildings and three single-tenant fast-food pad restaurants. Perris Marketplace is a 225k sf Walmart Supercenter-anchored shopping center. The assets were sold by Evergreen and Trachman Indevco, the property’s developers. Evergreen is a national retail and multi-family development company with heavy emphasis on developing projects in California, Colorado, Arizona, and Utah. Trachman Indevco is a real estate investment and development company that specializes in new ground-up retail development and retail development/repositioning opportunities in southern and central California. Perris Marketplace is located at 1820-2000 North Perris Boulevard in Perris, less than ¼ mile from the heavily traveled I-215 Fwy. The center was originally planned to include two multi-tenant shop buildings but, due to the high demand, a third 12.5k sf shop building was added to accommodate tenant interest. The line-up of retailers features a variety of popular food and service tenants including America's Best Contacts and Eyeglasses, Chipotle, Dickey's BBQ, Great Clips, Jamba Juice, Jimmy John’s, Pacific Dental, Panda Express, Pieology, Popeye's, Sally Beauty, Starbucks, T-Mobile, Verizon Wireless, Waba Grill, Wendy’s and Yogurtland. Bill Asher and Jeff Lefko with Hanley Investment Group Real Estate Advisors represented the seller in the transaction. “We were able to maximize value for the owner through individual sales to private non-institutional investors in a price range ($2-$10 million) that in today’s market appeals to arguably the largest buyer pool in the retail investment industry. Four of the six buyers satisfied 1031 exchange requirements with most purchasing each asset because of the reliable stable income stream created by internet- resistant, service-based, national and regional credit tenants on new long-term leases,” Asher said.